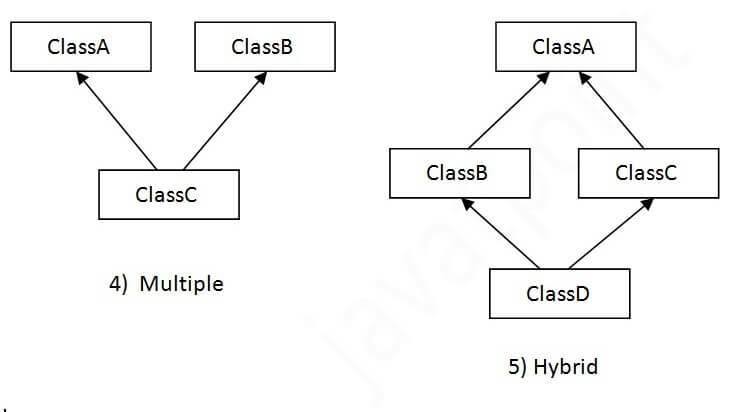 Why multiple inheritance is not possible in Java in case of class? Inheritance in Java is a mechanism in which one object acquires all the properties and behaviors of a parent object. It is an important part of OOPs (Object Oriented programming system). The idea behind inheritance in Java is that you can create new classes that are built upon existing classes. When you inherit from an existing class, you can reuse methods and fields of the parent class. Moreover, you can add new methods and fields in your current class also. Inheritance represents the IS-A relationship which is also known as a parent-child relationship. Class: A class is a group of objects which have common properties. It is a template or blueprint from which objects are created. Sub Class/Child Class: Subclass is a class which inherits the other class. It is also called a derived class, extended class, or child class. Super Class/Parent Class: Superclass is the class from where a subclass inherits the features. It is also called a base class or a parent class. Reusability: As the name specifies, reusability is a mechanism which facilitates you to reuse the fields and methods of the existing class when you create a new class. You can use the same fields and methods already defined in the previous class. The extends keyword indicates that you are making a new class that derives from an existing class. The meaning of "extends" is to increase the functionality. In the terminology of Java, a class which is inherited is called a parent or superclass, and the new class is called child or subclass. 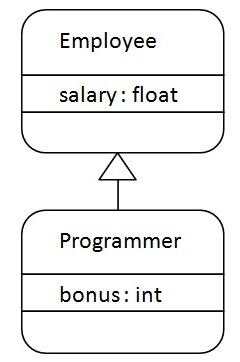 As displayed in the above figure, Programmer is the subclass and Employee is the superclass. The relationship between the two classes is Programmer IS-A Employee. It means that Programmer is a type of Employee. 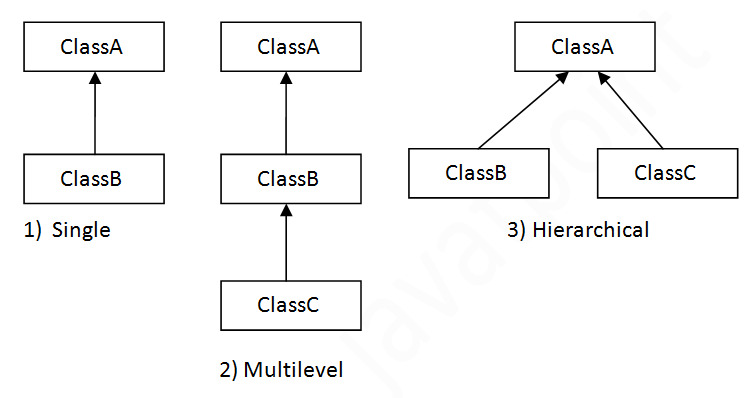 Note: Multiple inheritance is not supported in Java through class. Consider a scenario where A, B, and C are three classes. The C class inherits A and B classes. If A and B classes have the same method and you call it from child class object, there will be ambiguity to call the method of A or B class. Since compile-time errors are better than runtime errors, Java renders compile-time error if you inherit 2 classes. So whether you have same method or different, there will be compile time error.